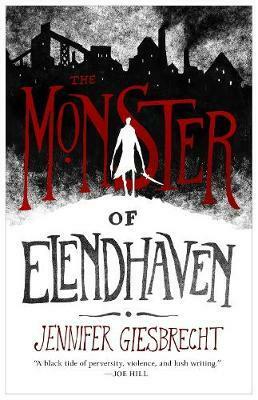 Debut author Jennifer Giesbrecht paints a darkly compelling fantasy of revenge in The Monster of Elendhaven, a dark fantasy about murder, a monster, and the magician who loves both. The city of Elendhaven sulks on the edge of the ocean. Wracked by plague, abandoned by the South, stripped of industry and left to die. But not everything dies so easily. A thing without a name stalks the city, a thing shaped like a man, with a dark heart and long pale fingers yearning to wrap around throats. A monster who cannot die. His frail master sends him out on errands, twisting him with magic, crafting a plan too cruel to name, while the monster's heart grows fonder and colder and more cunning. These monsters of Elendhaven will have their revenge on everyone who wronged the city, even if they have to burn the world to do it. JENNIFER GIESBRECHT is a native of Halifax, Nova Scotia where she earned an undergraduate degree in History, spent her formative years as a professional street performer, and developed a deep and reverent respect for the ocean. She currently works as a game writer for What Pumpkin Studios. In 2013 she attended the Clarion West Writers Workshop. Her work has appeared in Nightmare Magazine, XIII: 'Stories of Resurrection', Apex, and Imaginarium: The Best of Canadian Speculative Fiction. She lives in a quaint, historic neighbourhood with two of her best friends and five cats. The Monster of Elendhaven is her first book.